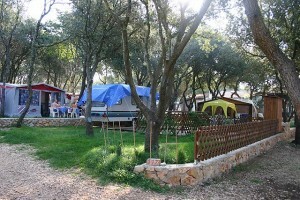 Camp Straško is situated 2 kilometres from small town Novalja on island Pag. 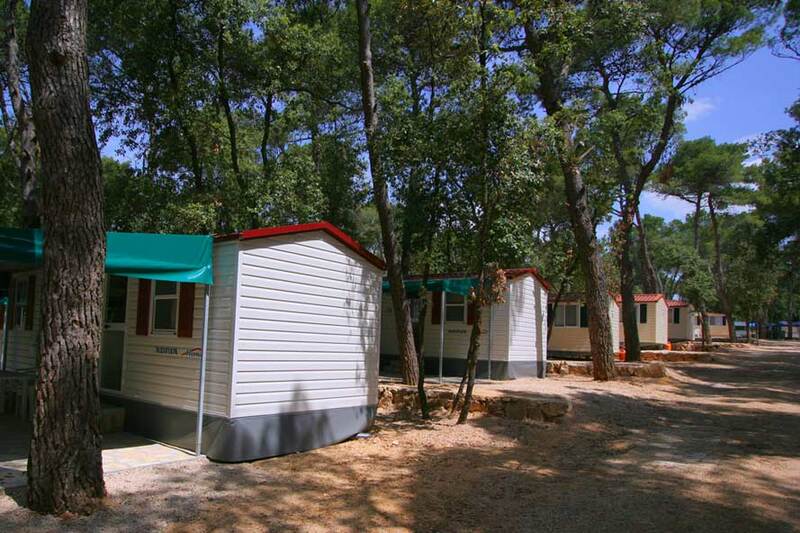 Straško is very spacious camp site (57 hectares for 7000 persons) located on the nice beach in the pine, olive and oak wood which provides nice shade and scenery. About one third of the camp is reserved for naturists (fkk). 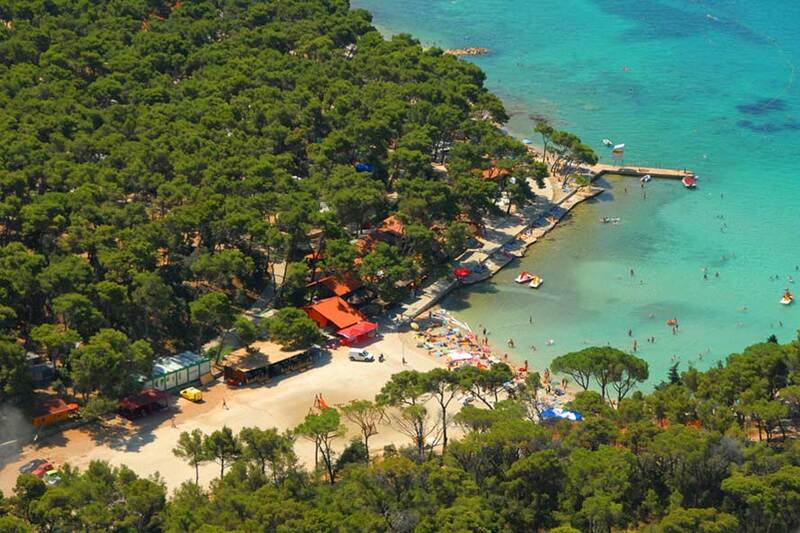 Beach of camp Straško is 2 kilometres long with pebbly surface and it has blue flag for clear sea. Camp offers lot of services and entertaining programs for its guests. All of that makes it one of then top camps in the area. Novalja as a tourist destination it is famous for the party life on the popular beach Zrce (not camp beach) which is filled with many clubs and it is only few kilometres from camp Straško. In camp Straško there are 400 fully equipped pitches with a size of 100 – 120 square metres. All pitches have electricity, water and SAT TV connections and drainage. 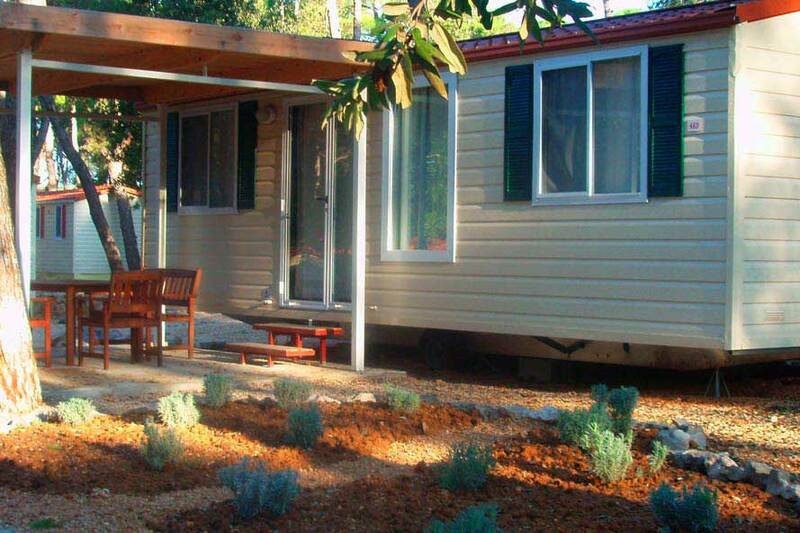 Renting one pitch includes space for car, tent and trailer or mobile home. 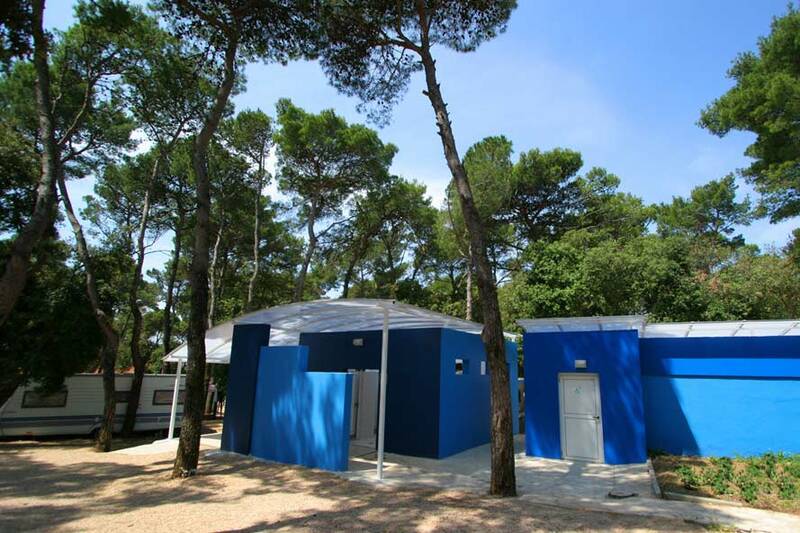 Camp Straško have 12 sanitary buildings of which 8 are totally renowned and with highest standards. They include services for disabled persons, areas for changing babies, areas with washing machines and for drying cloths, dish washing areas, chemical toilettes and even special places for washing pets. As for food facilities, there is main restaurant with a big terrace in which you can eat a la carte or ready-meals. There are also grill and stone oven specialties. 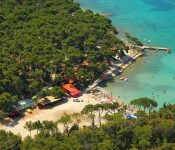 Except restaurant, in camp Straško there are pizzeria, few bars on the beach and beer bar ?Ali-house?. In all object during day and evening there are many animation and entertaining programs guided by professional staff. 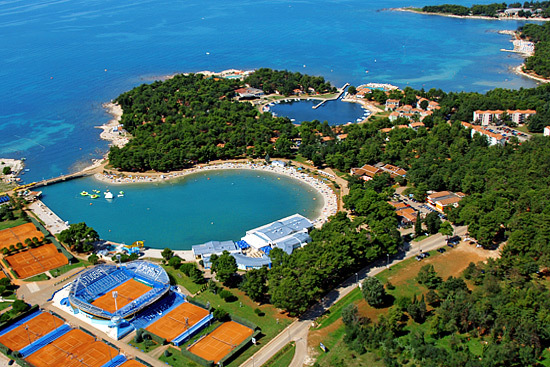 In camp Straško you can also find 2 supermarkets, tobacco shop, fish market and bakery. Shops provide fresh daily supplies of food, drinks, beach equipment, newspapers etc. Other services includes gas filling station, place for smaller repairs of trailers, cars and camping equipment, and possibility to securely tie your boat if you brig one. Internet connection is available in main restaurant area. In the camp area there are 11 tennis courts, terrain for mini golf, volleyball courts, bowling grounds, tables for table tennis and fitness studio. Morning exercises are organized for children and adults. Above all that guests can rent bicycles, scooters and quad motor bikes. 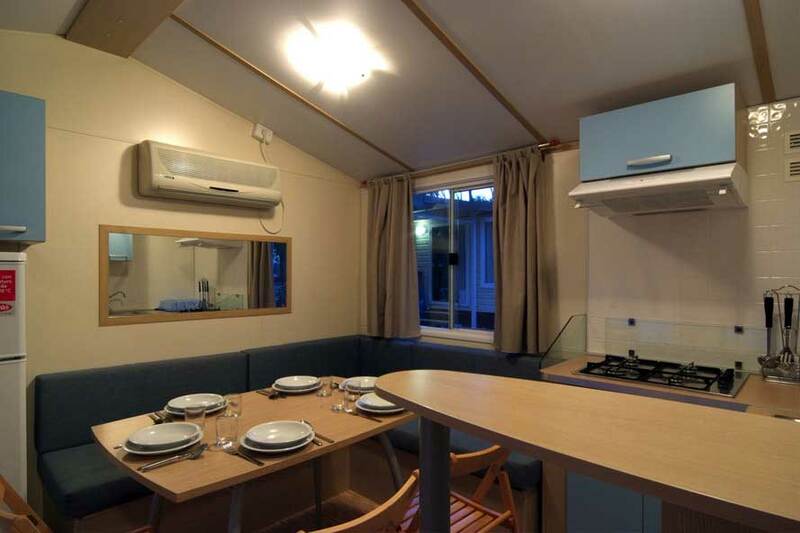 For those which dont have they own tents or trailers camp Strasko offers possibility to rent mobile home (bungalow). All mobile homes in camp are for 4 or 5 persons, and they include water, electricity, gas, one car parking space, linens and towels. The houses are completely equipped with air- conditioning devices, sat- TV devices and kitchen devices. They have two separate bedrooms, toilet, bathroom and living room with kitchen. Parking space is in front of the bungalow, and there is also a little terrace with a table and chairs. Pets and extra persons are option for which you have to pay little extra. 20 hectares of camp Straško is reserved for naturists and nudists. Thick wood provides enough privacy and shade for FKK lovers. In this area there are one restaurant, small sport recreation centre and tobacco shop. During day and evening guests can enjoy in organized entertainment.